Tony Trischka’s Banjo Safari experience in an ancient volcanic crater! 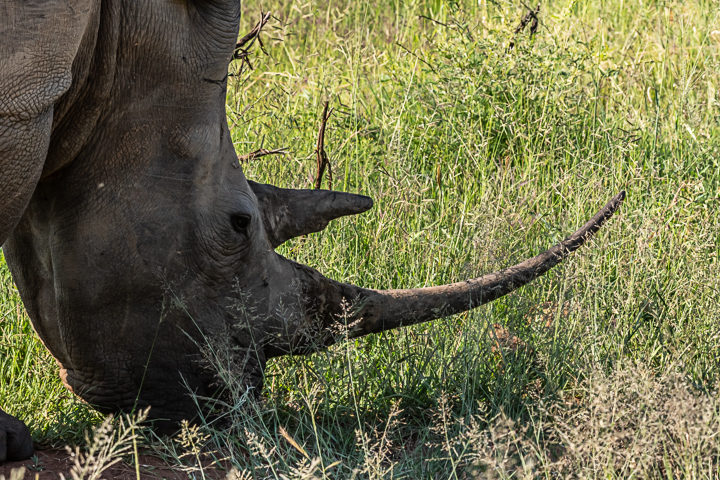 20 February, 2019 – 26 February, 2019, Black Rhino Game Lodge, Pilanesberg, South Africa. Banjo safari definition: Attending a music workshop, on safari in Africa, with a Banjo on your lap. 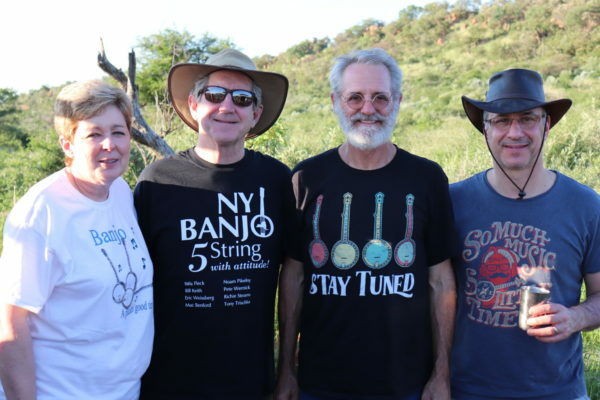 What an incredible privilege it was to have Banjo extraordinaire – Tony Trischka- as our Banjo Safari instructor for 2019! A magical time spent relaxing and rejuvenating in the bush, learning from a banjo legend, making new friendships and having a great time. I picked Tony and his party up from the airport on a sunny Tuesday morning in February 2019 from the OR Tambo International airport in Johannesburg. 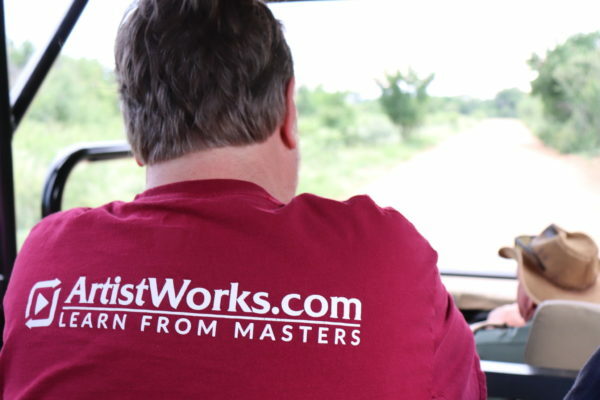 It was clear right from the start that this was going to be a wonderful trip. 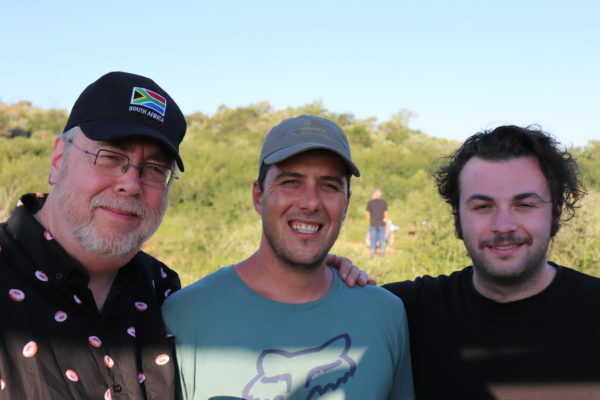 Tony, his son Sean (who joined him on Mandolin in teaching sessions and concerts), and Tony’s management team were so friendly and excited about the trip and about being in South Africa. I expected Tony and his team to be tired after the 14hr flight, but after we checked into the hotel, everybody was ready for some sightseeing, and we were off to Soweto for a tour of Villikazi street. 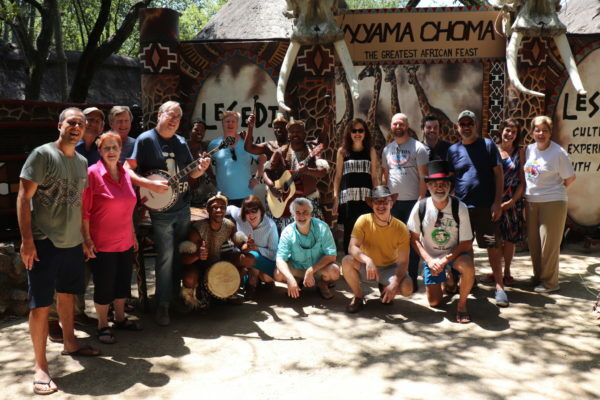 We did a tour of Nelson Mandela’s home and enjoyed some highly energetic and rhythmic gumboot dancing, a style of South African dancing using hand claps, boot claps and a capella singing – first performed by the Basotho people when they came down from the mountains of Lesotho to work as miners in the gold mines. 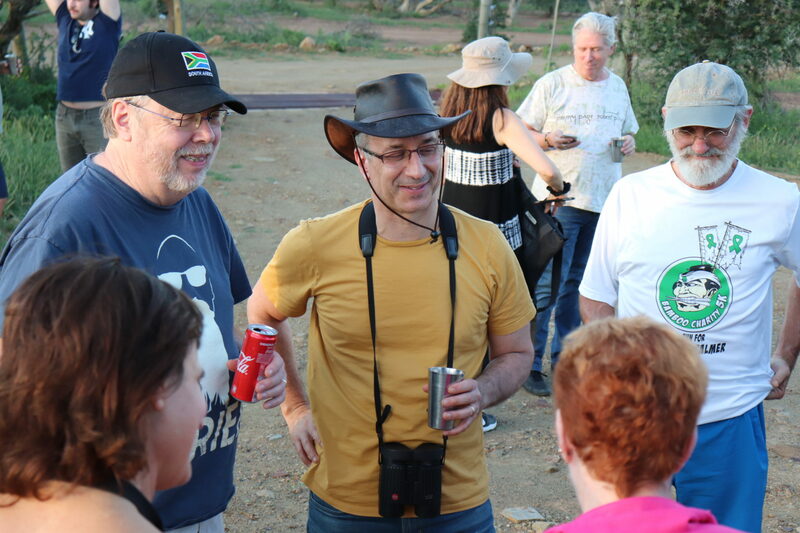 After that we savoured some local cuisine and headed back to the hotel.That evening at the hotel we kicked off the tour with a meet and greet, as everybody had arrived in South Africa by then. It was the first time that the entire group had met, so the excitement and energy levels were high, and folks were eager to finally start the trip. We spent a lovely evening together getting to know each other over dinner. Our first official day together started with some Curios shopping and a visit to a Craft Beer and Gin brewery where we relaxed for lunch. 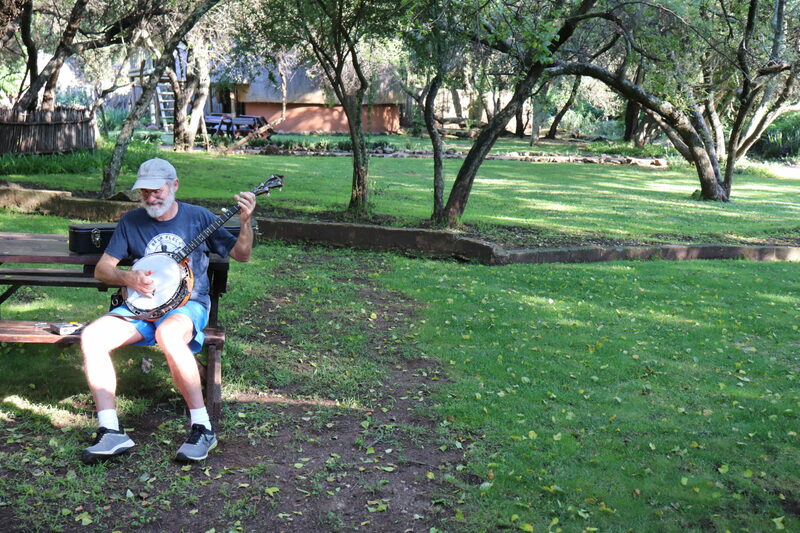 It was not long before the banjos were brought out and folks started pickin’ some tunes. We then headed off to the Lesedi Cultural Village for an amazing cultural presentation of the various South African tribes. The tour, storytelling, history, dancing and food was amazing! 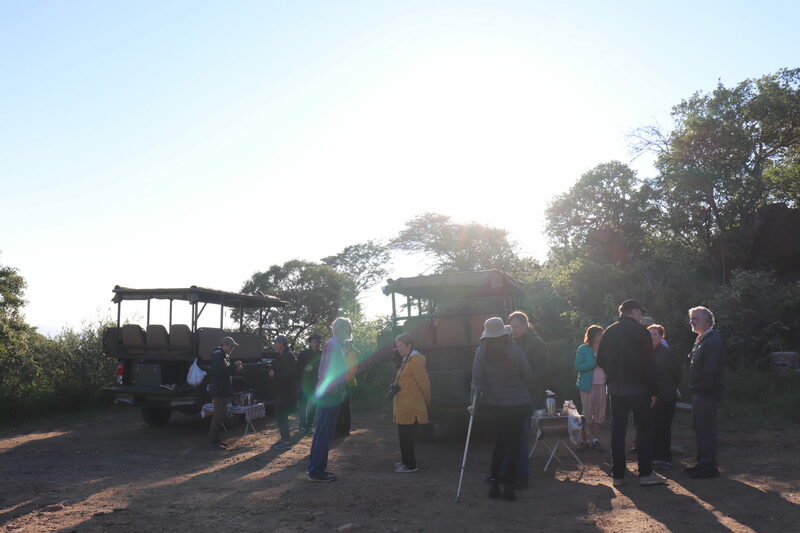 The energy, enthusiasm and warmth of the people of Lesedi truly embody the South African spirit of “Ubuntu”-togetherness.On day two we woke up to another beautiful sunny morning and a relaxed breakfast. 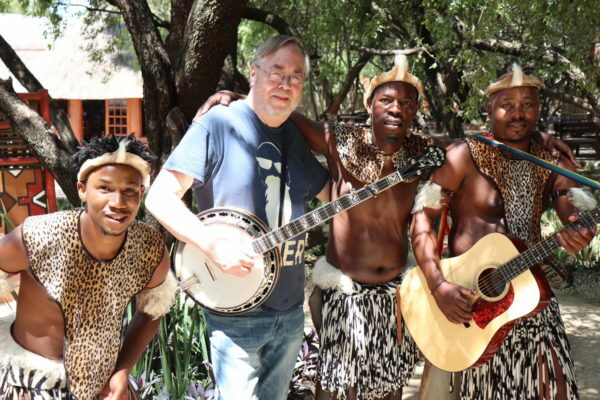 Just before we departed, Tony teamed up with some of the Lesedi staff, who are all very accomplished Maskandi musicians(Traditional Zulu music), for a wonderful once off impromptu Banjo meets Zulu guitar jam.After that magical jam we loaded the van and set off to the Black Rhino Game Lodge in the Pilanesberg, a mere two hours’ drive away. 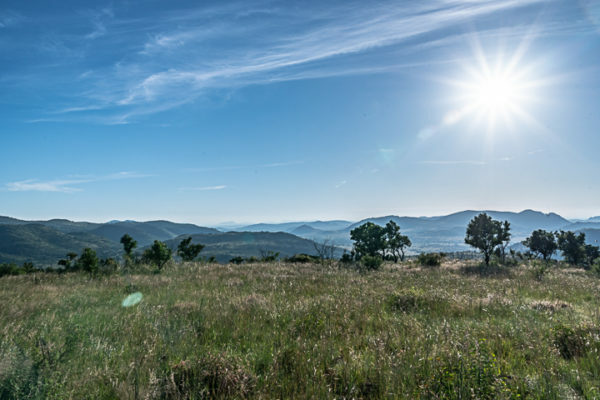 We had a lovely scenic drive filled with rolling hills and lush grasslands as we edged deeper into the Savanna. Upon arrival at the Black Rhino Lodge, we checked in, unpacked and headed out on our very first safari drive. 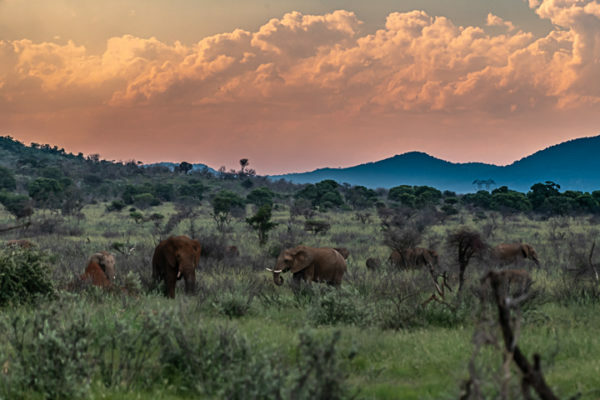 We had hardly been in the bush for 10 minutes before we saw our first elephant bull! Right next to the road, grazing in the grass, stood a towering elephant bull. 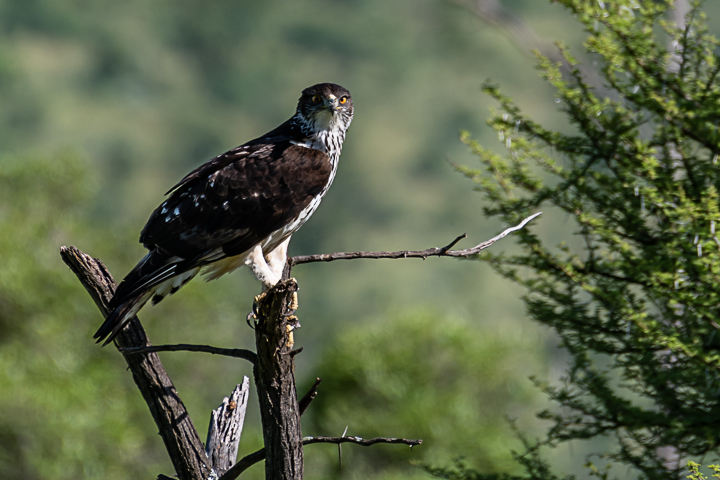 It was a magnificent sighting, and it set the tone for the rest of the trip. 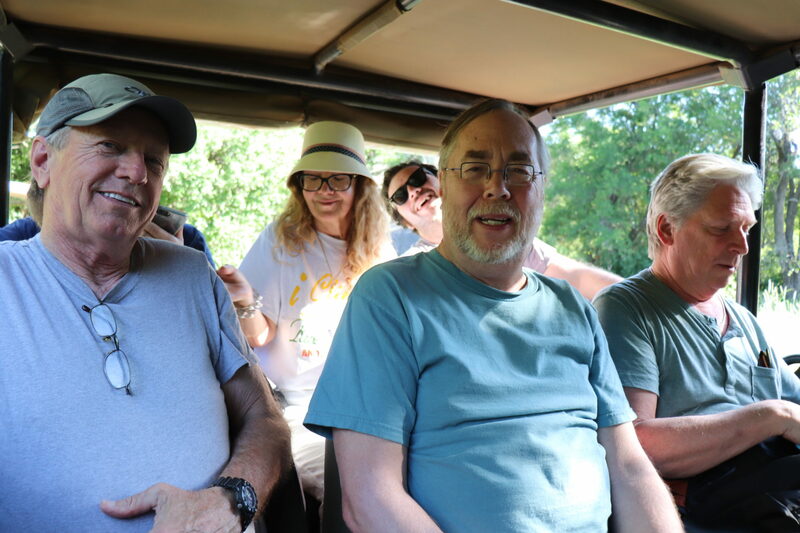 After that we saw some giraffes, impala, zebra and then a massive herd of about 30 elephants. 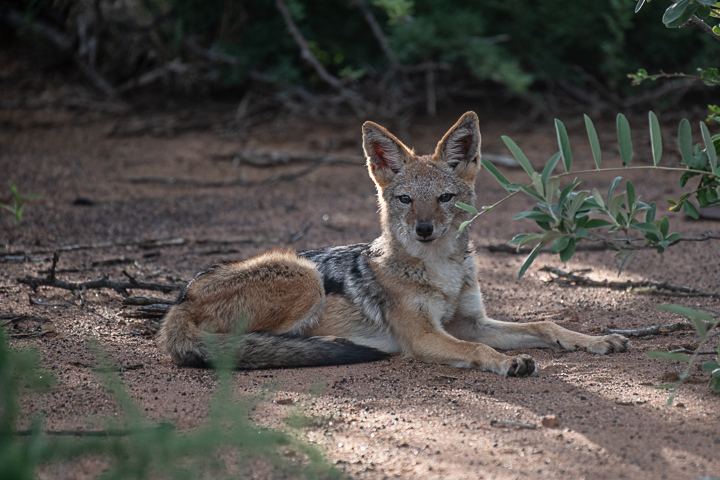 In addition to these glorious elephant sightings we saw an enormous white rhinoceros bull next to the road, hippos in the water, a black backed jackal, and plenty of other game. Back at the lodge after the safari drive we received a warm welcome from the Black Rhino staff and sat down for a mouth-watering dinner, followed by the first official Banjo session with Tony. Day three started with an early morning safari drive where we could really savour the beauty of the open Savanna and landscape of the Pilanesberg National Park, which is located in an ancient volcanic crater, lending itself to wonderful views and scenery. 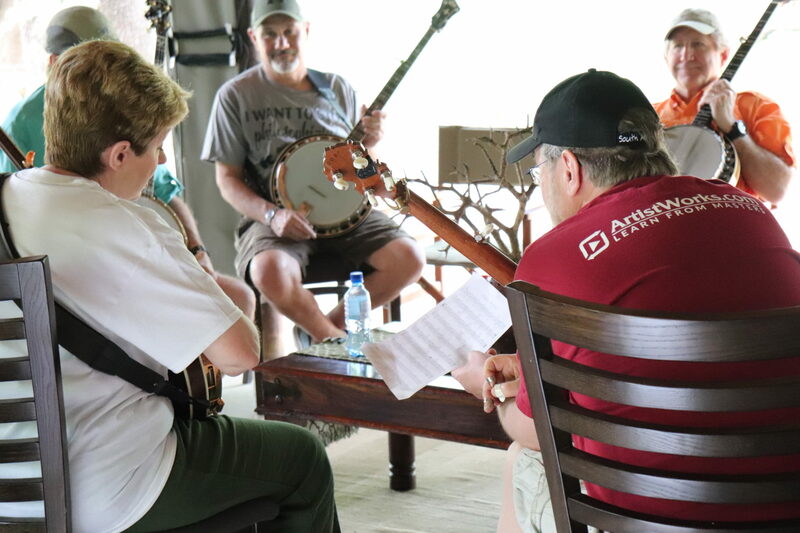 After breakfast the participants set out for a full day of banjo workshops with Tony, only breaking for lunch. After a hard day’s work, the group set out for another afternoon safari drive – not knowing that this would be one of the most exhilarating game drives of the trip. 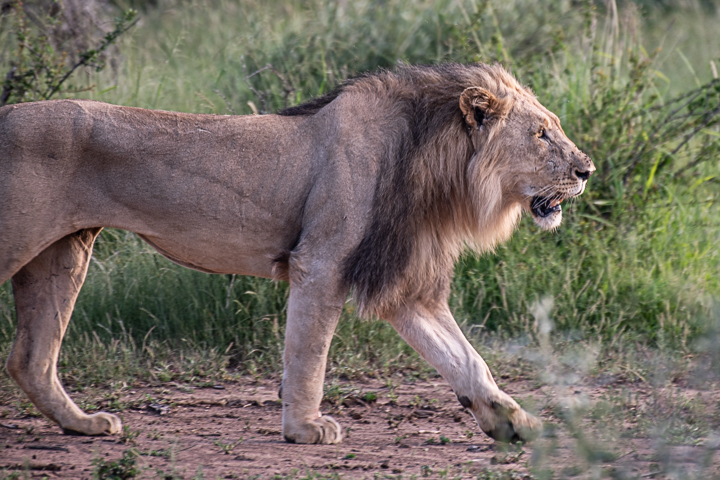 Once again, we saw elephants and rhinos on the drive, but it was as we drove around the corner of a thicket that we came upon three majestic lions walking straight at our game viewer vehicles! 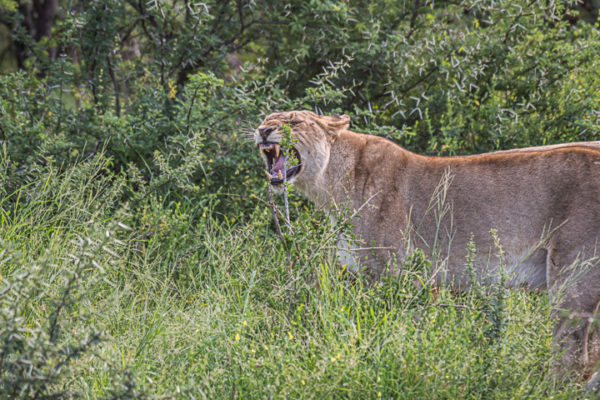 Two female lions and one male were walking towards us from about twenty meters away. 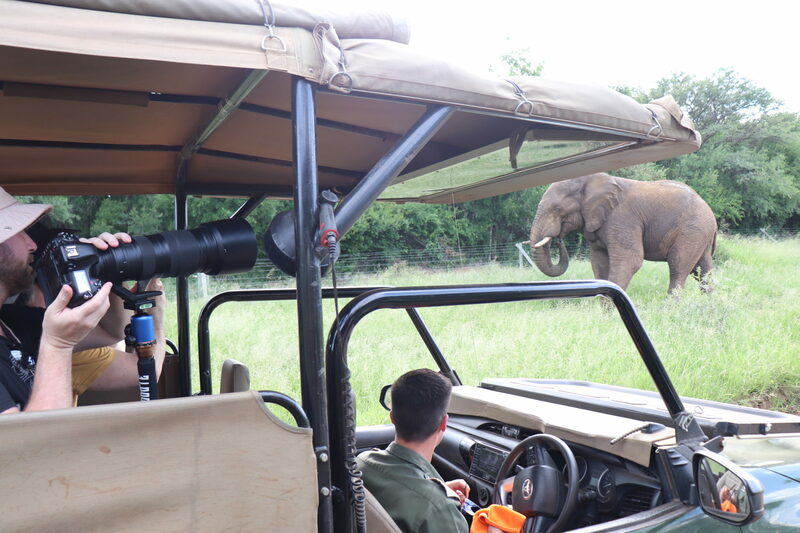 They kept their direction, not interested in changing course or moving for us, all three of them, literally walked right past our safari truck. It was an extraordinary and exhilarating experience to say the least, and then they were gone, off into the bush. 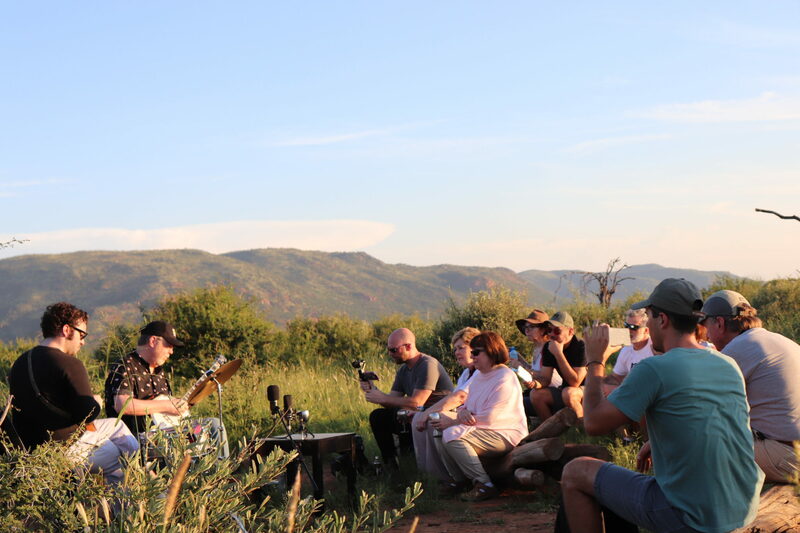 With every day better than the last, on day four we had a true highlight of the entire safari-Tony and his son Sean’s Al Fresco concert in the bush. We could not have chosen a more breathtaking spot, set on the foot of an escarpment with unspoiled scenery all around. 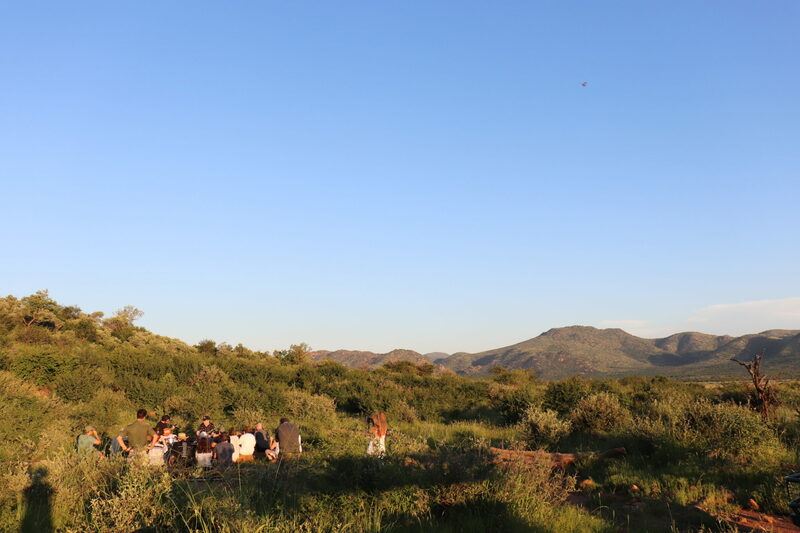 We enjoyed sun downers surrounded by views of the Savanna landscape, green grass, thorny bushes and mountains with the promise of a spectacular sunset and an exceptional performance to come. 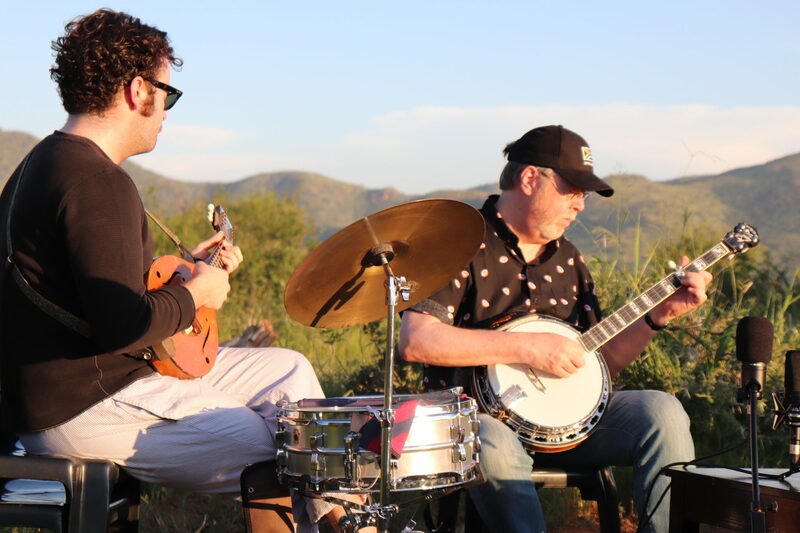 The group sat on old logs facing Tony and Sean with the sun setting red in the background as they savored the moment and Tony’s magical performance. They performed some of Tony’s originals, some fiddle tunes, a couple of Sean’s songs, and a Beatles medley to which we all sang along. Unplugged, acoustic and unspoiled. Absolutely mesmerizing! The sound of musical instruments out in nature where there is no noise pollution is something truly special, and an experience not soon to be forgotten. The following couple of days were spent doing more of the same. 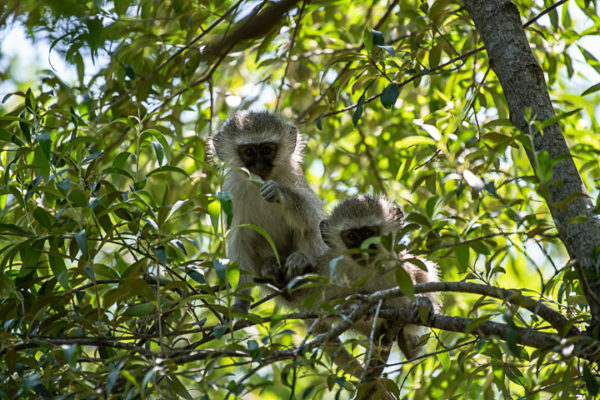 Safari drives, banjo workshops, eating, banjo workshops and safari drives. 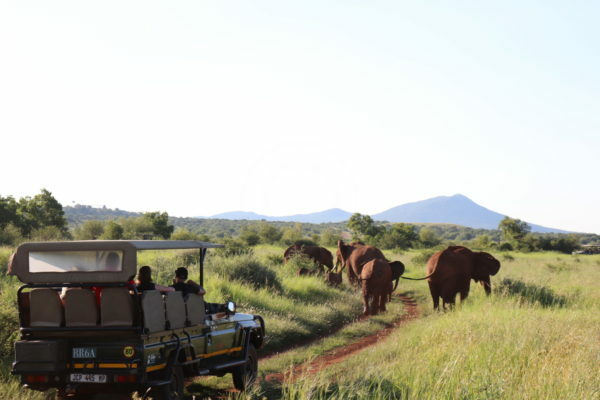 The lodge was also frequently visited by herds of elephants splashing and swimming in the watering hole right in front of the lodge. 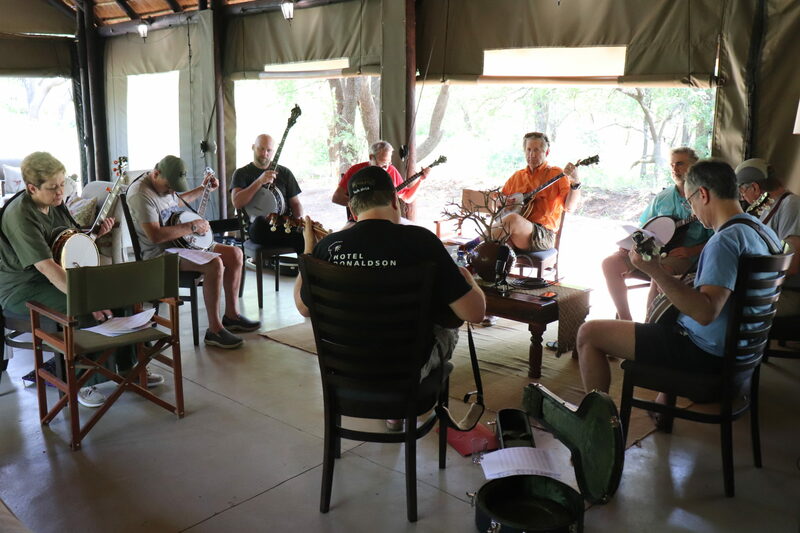 Tony’s brilliant teaching was truly exceptional, and every participant enjoyed the small group setting, with a private lesson for each, as well as group learning opportunities. 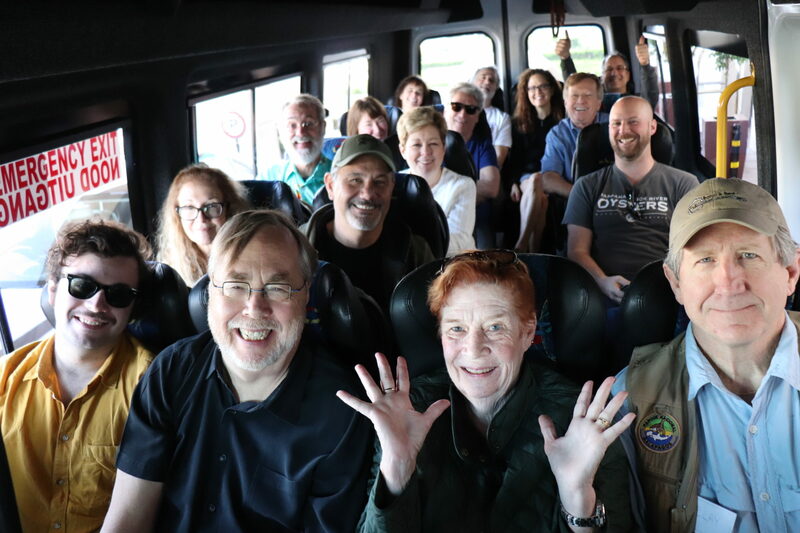 We really had a wonderful group of musicians on this trip, and a strong sense of camaraderie and friendship had formed. On the final full day we ended off with a Student concert lead by Tony. 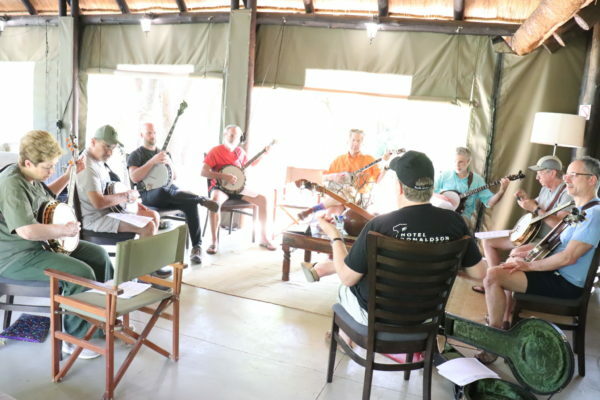 The group performed a couple of songs together and some of the students also played a song on their own. To top it off the staff of the Black Rhino Lodge came out and performed some beautiful African songs for us. It was the perfect ending to an amazing trip. 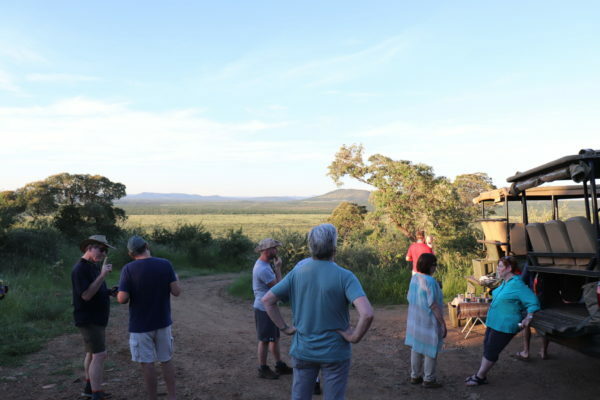 We were extremely fortunate to have perfect weather all through the trip, and many of the guests spoke about the beautiful connection they made with nature, the wildlife and the animals. 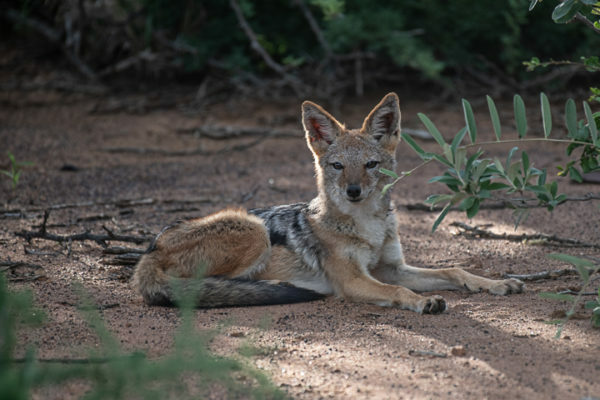 An overwhelming realisation that nature and the wild animals of our planet are sacred, and that it should be treasured, protected and respected. 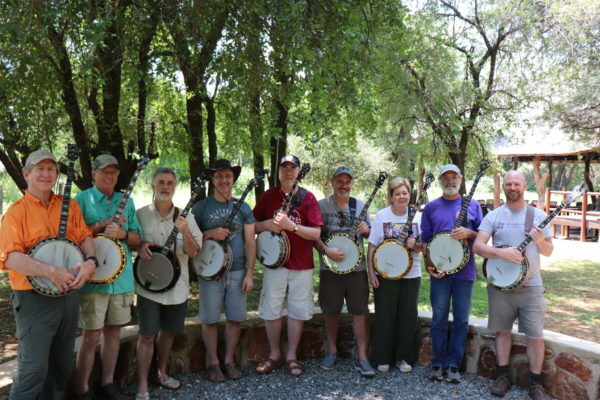 A huge thanks to Tony, Sean, Tony’s team and the Banjo Safari class of 2019, without whom this wonderful experience would not have been possible, with a special thanks to Mr. Tony Trischka. Tony was truly exemplary and one of the friendliest and most knowledgeable teachers we have worked with so far. It was an honour and a privilege. We hope to welcome all of you back to South Africa soon!